Great content is an indispensable means to raise brand awareness, disseminate areas of expertise and convey market leadership. Branson Ultrasonics has a committed program to generate educational and technical articles for use in public relations, and web content. Blass worked with communications and product management to generate a number of white papers and technical articles, supported by excellent graphics that can be pitched to publications for feature articles like the one shown here. They can also be used in an overall content marketing strategy for corporate websites as well as social media. View a PDF of Design World Magazine. 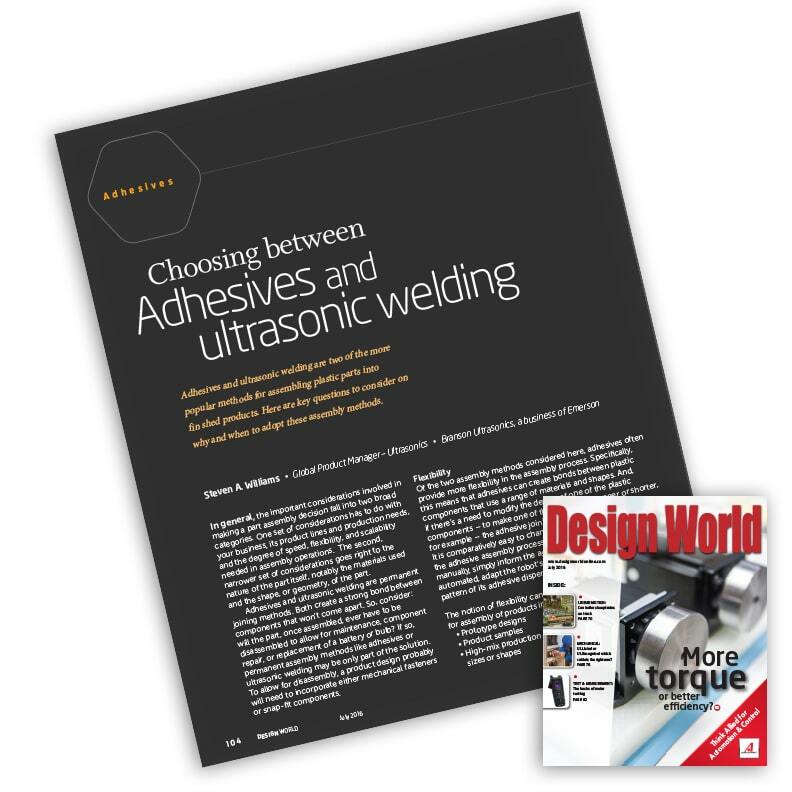 “Branson Ultrasonics has collaborated with Blass Marketing on many occasions in the writing of technical articles. Blass has an excellent professional technical writing team. We have been very pleased with the process and final outcome and plan for other projects, as part of our content marketing and PR Strategy”.